As technology continues to improve, we’re seeing tools appear that help everyone, including non-technical people, create web sites and mobile apps. Services like Squarespace allow anyone to create a complex web site in a matter of days. Companies like Kinvey are making the backend of digital products a piece of cake. As these tools continue to improve, we’ll see a shift from developers and designers focusing on repetitive setup tasks, to allowing them to concentrate on creating and developing the best experience for their users. PhoneGap and jQuery Mobile are two great examples of such tools. They abstract formerly incredibly difficult processes, and allow developers to leverage them to create more robust mobile web sites and applications. jQuery Mobile is a user interface library that has been tested cross-browser and cross-platform. This means that from a developer’s perspective, it just plain works. jQuery Mobile provides pages, navigation elements, buttons, form elements, menus, and a responsive grid framework, to name just a few features. This means developers and designers don’t have to spend time debugging everything that’s already included in the jQuery Mobile framework, and can start building the interface around what’s most important and will bring users back over & over again: the content. PhoneGap and jQuery Mobile have numerous other benefits, but when used together, they really begin to shine. One of the biggest criticisms of jQuery Mobile is that in order to work in as many browsers and mobile platforms as possible, its larger than other libraries, and that causes sites to perform slower. When you wrap the jQuery Mobile framework with PhoneGap and package it with your app, download times are eliminated, and the only limiting factor is the processing power of the device your app is running on. And we all know processing power certainly isn’t getting any slower. There’s a lot more to learn about PhoneGap and jQuery Mobile. 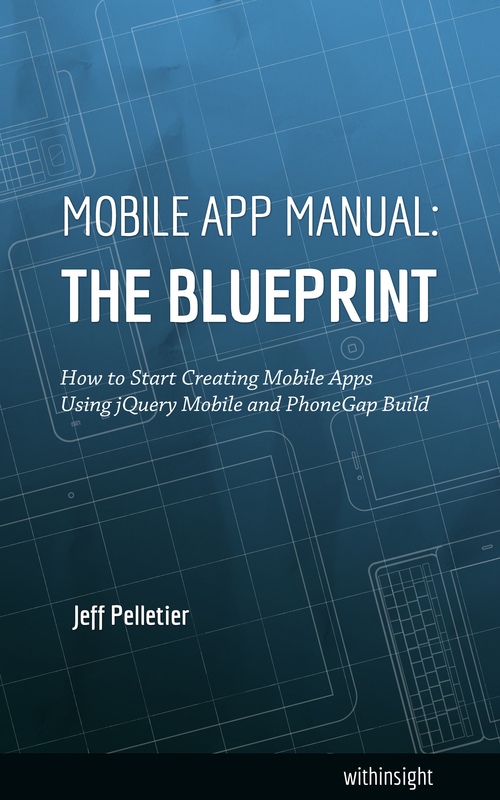 If you’re interested in learning more about both tools, and a process that works for building apps using PhoneGap Build and jQuery Mobile, check out my book. It’s short, to the point, and arm you with the knowledge of how to start building your own mobile apps.